We turn six this year, and to celebrate, we came up with six things on why we do what we do here on Bookbed. We hope these encourage you to write about books and reading as well. Enjoy! 1. We write about reading to understand. 2. We write about reading to share our passion. 2. We write about reading to feel. “Writing about reading is one of the best ways I express my love for books. Microblogging on Twitter how many times I’ve thrown the current book I’m reading to cry (Hanya Yanagihara’s A Little Life) is cathartic, even if at times it feels like screaming into the void. 4. We write about reading to connect and support. “Reading is important. It helps expand your vocabulary and worldview. It helps build creativity and empathy. It’s been proven that reading makes us smarter and nicer. No one ever told me I needed to read when I was growing up because I saw it all around me anyway. My dad would read his books on business and management out loud during sunny afternoons (there are surprisingly so many life lessons to be found in these “boring” tomes). My mom would always read a few pages of those thick Maeve Binchy romance novels before sleeping. My sister collected the Nancy Drew series while my brother had his Animorphs and Archie comics. Reading books felt as natural as breathing. But apparently, this is not the case for everyone. I know people who don’t read books simply because they were never inspired to do so as a kid. Or worse, they were teased for being nerds. 5. We write about reading to inspire. 6. 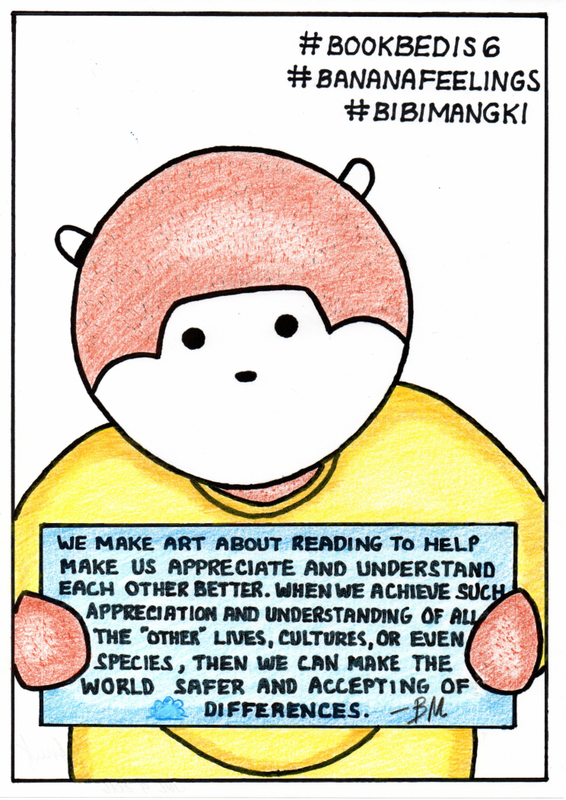 We write—and make art—about reading to appreciate and accept.